Bill is currently a member of the Tri-City All-Stars (www.tricityallstars.com) and the Boston College Concert Band. He was a member of the Empire State Youth Orchestra Percussion Ensemble throughout his high school career. He has performed in numerous bands and combos over the past years in the Boston and Albany areas. 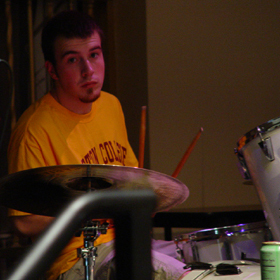 Additionally, Bill teaches beginner and intermediate drumset players in the Boston and Albany areas.